Irina Dyakiv, MSSA, LISW is a mental health professional who works with children/adolescents and their families to bring hope and healing through the use of evidence-based practice along with Bible-centered faith. 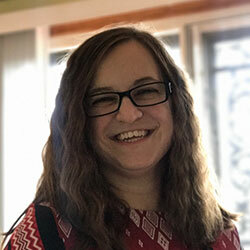 After studying Sociology and Psychology at Baldwin-Wallace University, Irina went on to receive her Master’s in Social Science Administration with specialization in Children, Youth, & Families from Case Western Reserve University. Since then she has enjoyed working with and serving young clients and their families from different walks of life who are struggling with various social and emotional issues such as depression, axneity, ADHD, anger, trauma, foster care, adoption. Remember, you don’t have to journey alone.